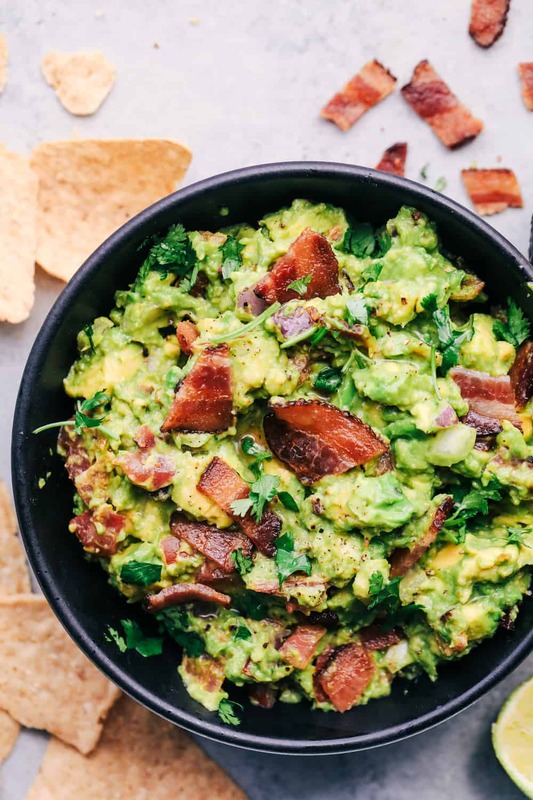 Bacon Guacamole is so easy to make and takes your guac to the next level with bacon. You will never want to make it without bacon again! I always count down the days for school to be out and summer to be here. But it seems that we are just as busy in the summer. Between scout camps, reunions, vacations, and soaking up the sun, this is a crazy time of year! We have so many potlucks and gatherings and I usually have to make up something that is quick and delicious. This is why guacamole is always a summer staple. And it just got taken to the next level with bacon. 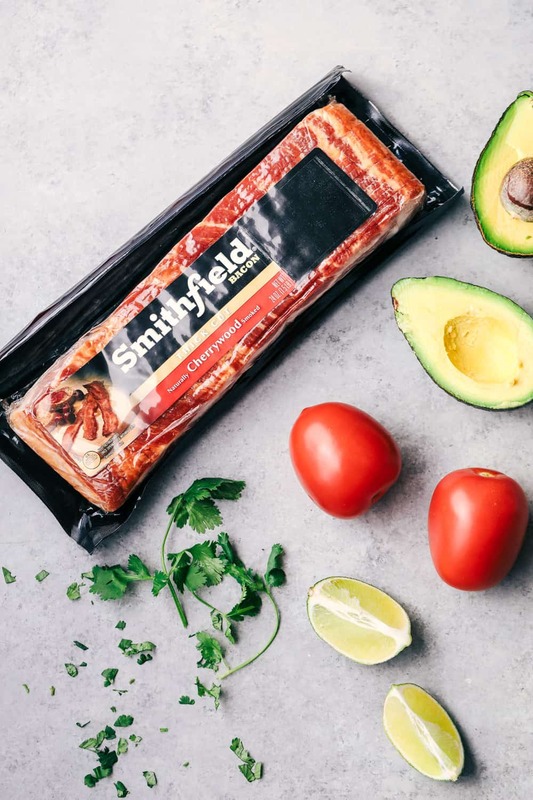 Our family is picky when it comes to good bacon and that is why we trust Smithfield to deliver a high quality and delicious bacon every single time. 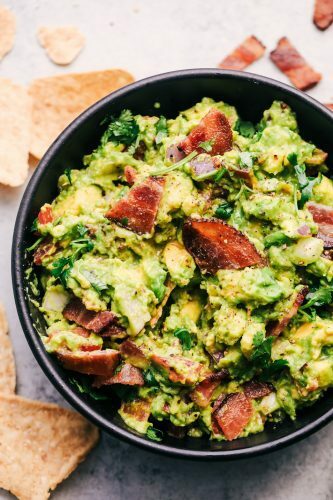 We all know that everything is better with bacon, but guacamole with bacon is life changing! My favorite way to prepare bacon is to bake it! I can make an entire pan of perfectly cooked and crispy bacon in just 15 minutes. I throw it in the oven while I am preparing the recipe or making a delicious breakfast for my family. Preheat oven to 400 degrees. Line a cookie sheet with aluminum foil and line the bacon in a single layer. Bake for 15-20 minutes but start checking at 12 to get to the desired doneness. Once it is finished, transfer to a plate lined with a paper towel. How do I make bacon guacamole? In a medium sized bowl add your chopped avocado, tomato, red onion, chopped cilantro and bacon. Mix together until incorporated. I like to mash the avocado a bit with the fork as I mix to make it have less chunks. Add in garlic powder, paprika, juice of one lime, and salt and pepper to taste. Serve with chips. This bacon guacamole will be gone almost as fast as you make it. You are going to love the hidden bacon in each and every bite. 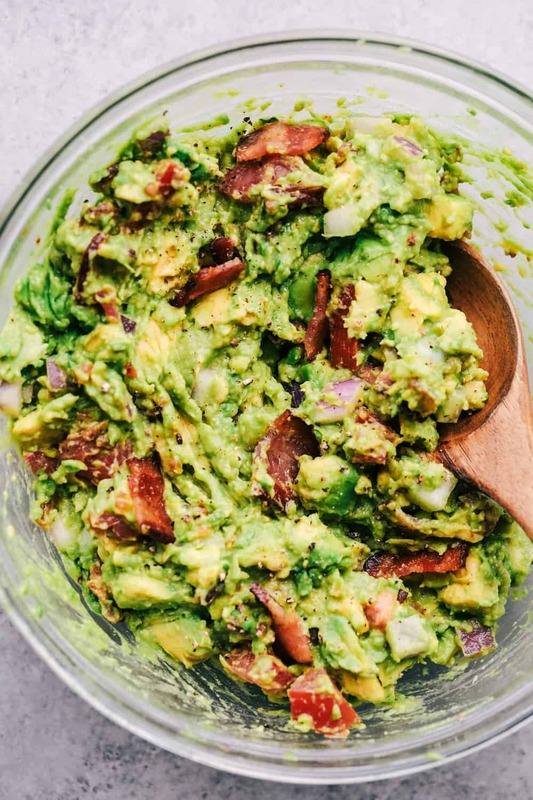 It really adds such amazing flavor to this guacamole and I promise that you will never make it without bacon again. It is the perfect quick and easy side to take to a backyard BBQ or potluck and wil be a huge hit wherever it goes! recipes to help you soak in the summer sun with friends and family. 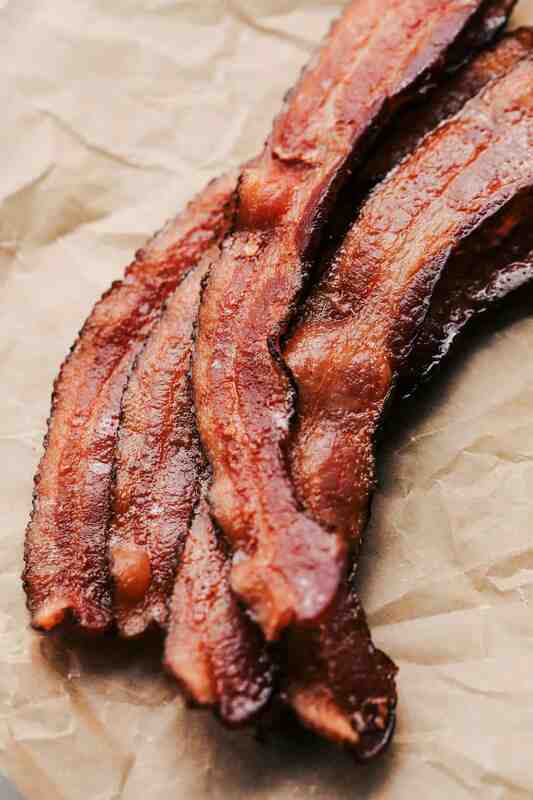 Hometown Original, Smithfield’s bacon is known for being smoked and cured to perfection. 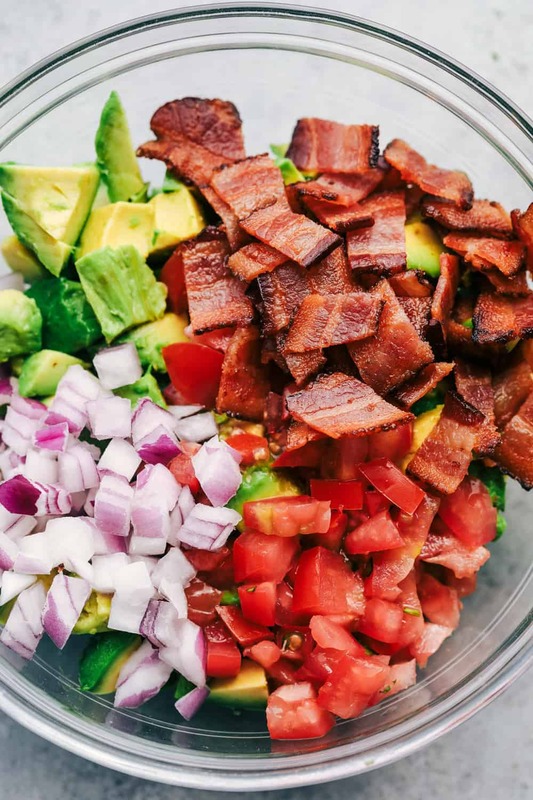 In a medium size bowl add the avocado, bacon, red onion, tomato, and cilantro. Mix together and mash with a fork to get to desired consitency. Add in garlic powder, paprika, juice of one lime and salt and pepper to taste. Serve immediately or seal tightly with plastic wrap and serve within 24 hours. This post was sponsored by Smithfield. I love to work with brands that I use in the kitchen for myself. All opions expressed are my own.